Through the wonders of the internet and notably youtube I have discovered that you really should look after your brushes and they will last a whole lot longer. I was very sceptical at first especially given how hard I am on brushes - but I am now a convert. So why this "Road to Damascus" change in opinion? Well in the last fortnight I have bought two new products and they have completely revived my brushes. The first of these is an ultrasonic cleaner. I purchased this little beauty on Trade Me. 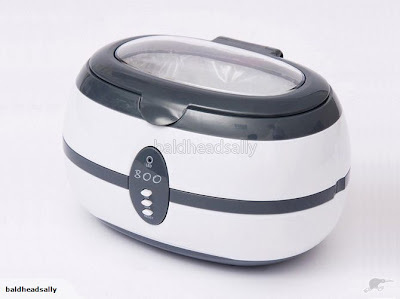 It is an ultrasonic jewellery cleaner and I purchased it to clean my airbrush after use. While watching youtube I saw that it could be used to clean your ordinary brushes as well and so on Tuesday afternoon I put in all my mangy old brushes - ranging from 00 to heavy drybrushes. The effect was amazing. Later that evening it had broken down all the residual paint back to the ferrules. This allowed me to move onto the second step. This is Masters Brush Cleaner. I purchased mine from Ken Bromley in the UK. This is a soap and shampoo for your brushes. There is a quick little video on how to use it here. The effect is amazing. My brushes are back to their original colour, shape and softness. Hi Pete. How big is this ultrasonic unit ? 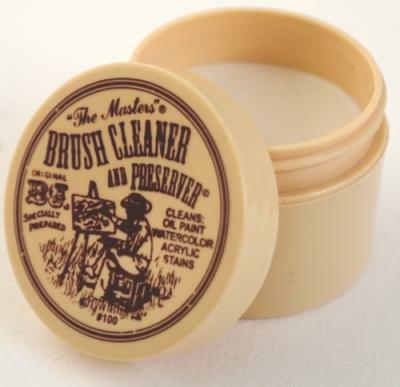 I've seen quite a lot of brush washers and revivers on blogs and forums, and have always been sceptical. I too am really hard on brushes. At one time I started using sable hair brushes, but acrylic based paints ruin then pretty quickly, and I have changed to nylons and oxhair. This gives me hope. Thanks, may just invest in one of these. I've got the same Ultrasonic cleaner. I clean my airbrush in meths in it and brushes in water. What do you use?